Using AutoCAD Civil 3D, infrastructure professionals can improve project delivery, maintain more consistent data and processes, and respond faster to design changes, all within the familiar AutoCAD environment. Transition to Building Information Modeling (BIM) with Autodesk® AutoCAD® Revit LT™ Suite, accessing both Autodesk® Revit LT and the drafting tools of Autodesk® AutoCAD LT software. Get flexible, pay-as-you-go licensing with Autodesk Desktop Subscription. 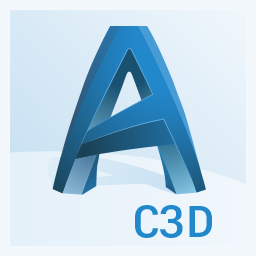 IMAGINiT Utilities for Civil 3D includes several tools to help you get more from your everyday use of Autodesk AutoCAD Civil 3D. Each one of the IMAGINiT Utilities for Revit is designed to do one thing: save you time by automating repetitive manual tasks. ProductivityNOW Complete is our solution for small to medium-sized customers. It provides access to support via phone, email, live chat/remote desktop streaming as well as an online knowledge base for troubleshooting issues, PLUS complete access to IMAGINiT’s video enhanced eLearning courses. ProductivityNOW Flextime offers hourly blocks of support that can be used for phone, email, and online web-based support. To meet all of these needs, IMAGINiT has solicited and responded to customer feedback creating a portfolio of highly flexible training options.